Huge Savings Item! Free Shipping Included! 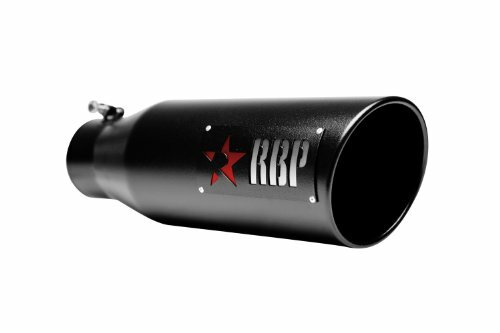 Save 15% on the RBP RBP-46004-7 4'' - 6'' x 18'' Long Stainless Steel Standard Side Exhaust Tip by RBP at Boogaloo Festival. MPN: 460047. Hurry! Limited time offer. Offer valid only while supplies last. Rolling Big Power's Stainless Steel Exhaust Tip features a stainless steel tip, black heat treated coating with a two tone laser cut RBP logo. Rolling Big Power's Stainless Steel Exhaust Tip features a stainless steel tip, black heat treated coating with a two tone laser cut RBP logo. Diameter size ranges from 4 inch to 6 inch and has standard 18 inch length with heat treated black coating and laser cut two tone logo (Standard Side). All tips fit gas applications (with adapter) and diesel applications. If you have any questions about this product by RBP, contact us by completing and submitting the form below. If you are looking for a specif part number, please include it with your message.